Minimum Social Bond Term: 36 months. Maximum Social Bond Term: 60 months. Minimum Social Bond Amount: £25,000. 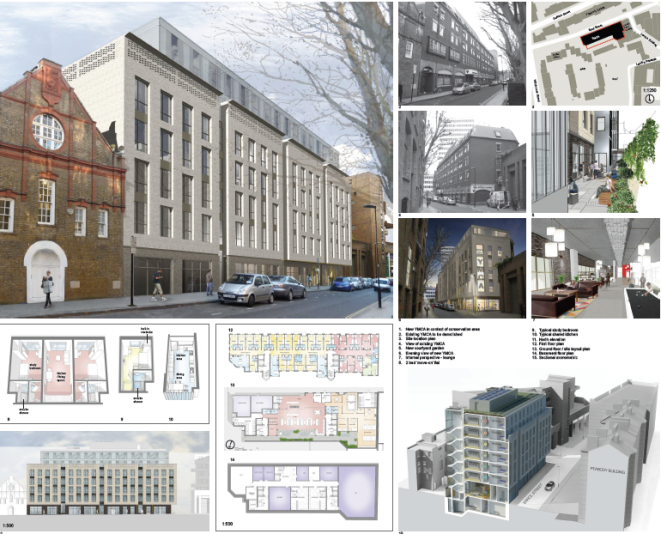 Plans are well developed with the costs planned at £19.4m. With significant funding already secured we are appealing for help to make this vision a reality. We're asking London's businesses and citizens to join our appeal to build a new, flagship home for those who have no hope. Everyone can get involved from £25,000 to over a million. You can choose to sponsor a room or name the building! 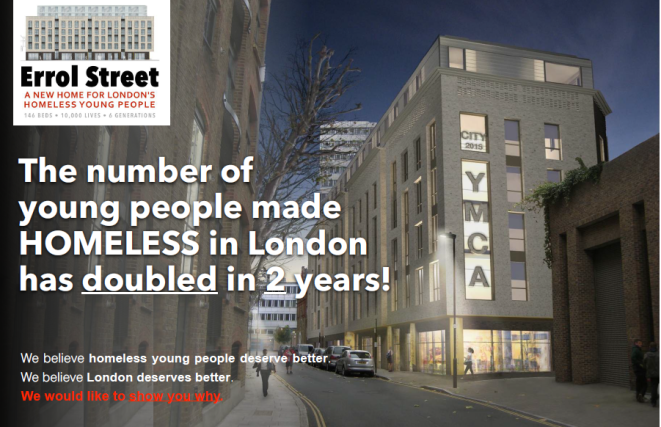 Your Social Bond will allow us to start construction and will provide much needed accommodation for London's homeless young people. In the first instance we would ask you to speak to us about this opportunity. INTEREST FREE Your investment will be offered on an interest free basis. Your bond will be repaid to you at the end of the term and the interest that would have been due will be considered as a donation to be made under the Gift Aid Scheme. 2.5% RATE OF INTEREST Your investment will be made on the basis of an annual rate of interest of 2.5%. The interest will be credited to your account in April each year with interest calculated to the 31 March of that year. Your bond will directly go towards funding the construction costs of the new Errol Street Hostel. A solicitor will be retained to put in place a legally binding agreement between City YMCA London and yourself and will issue a Bond Certificate.